Join the Old Town Boutique District and Alexandria Restaurant Partners to celebrate Cherry Blossom season in style! We will start with a cherry blossom cocktail or two and then shop our way up King Street! Collect Cherry blossom swag and flare as you shop spring collections at all of the participating OTBD shops. Select stores will also offer discounts and small bites! 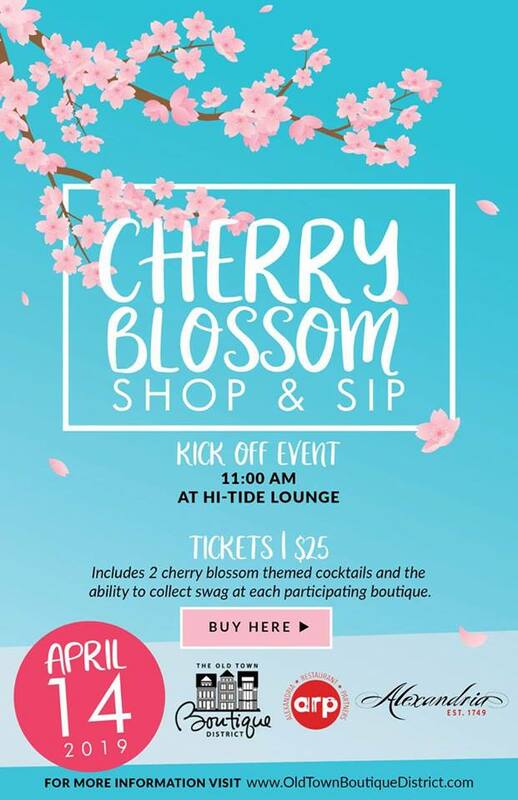 Purchase a ticket and receive two Cherry Blossom themed cocktails from Hi-Tide Lounge! Your ticket will also serve as your pass to collect flare and swag along the way at each partcipating business. A map with participating stores and offers will be provided ahead of the event.